It seems like most people either absolutely love pecan pie or they totally hate it. Which team are you on? If you’re a fan of pecan pie like me, you’re going to go crazy for these delicious chewy pecan pie bars! Speaking of folks who don’t dig pecan pie, my kids are tough nuts to crack when it comes to desserts with nuts. Neither of my kids enjoy nuts of any kind, and for a few years I’ve been omitting them from most of the recipes I make. Well, the time has come to stop catering to the kiddos 100% of the time. 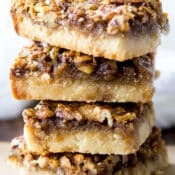 The grown-folks in my family adore pecan pie, so I was really excited to have the opportunity to whip-up these chewy pecan pie bars last week as a special treat for my husband. These chewy pecan pie bars look quite a bit like my pumpkin praline bars recipe, but the taste is quite different. My favorite part about this recipe is the incredible crust. 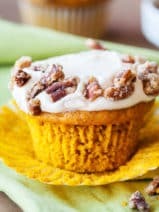 Of course, I love anything with pecans on it and I’ve even been known to snack on raw pecans between meals. 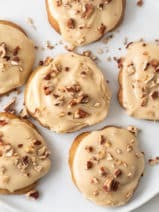 Speaking of pecans, have you ever tried pecan milk? I happened to pick some up in the grocery store last week and wow, it tastes so amazing. If you haven’t tried it yet, be sure to pick some up! I always love turning my favorite pie recipes into bars. During the holidays it’s just so much easier to take desserts in bar form to parties and gatherings. You can grab, go and enjoy. 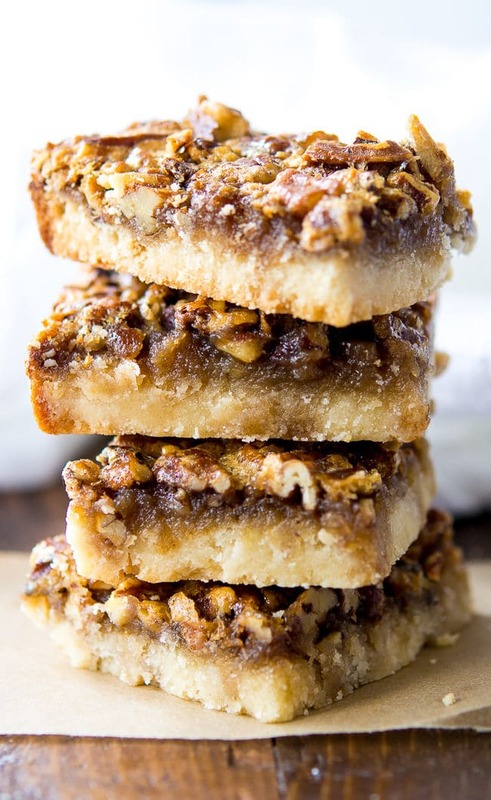 No need to dirty a plate and fork for these scrumptious chewy pecan pie bars! So, tell me, do you have a pecan pie fan in your family? 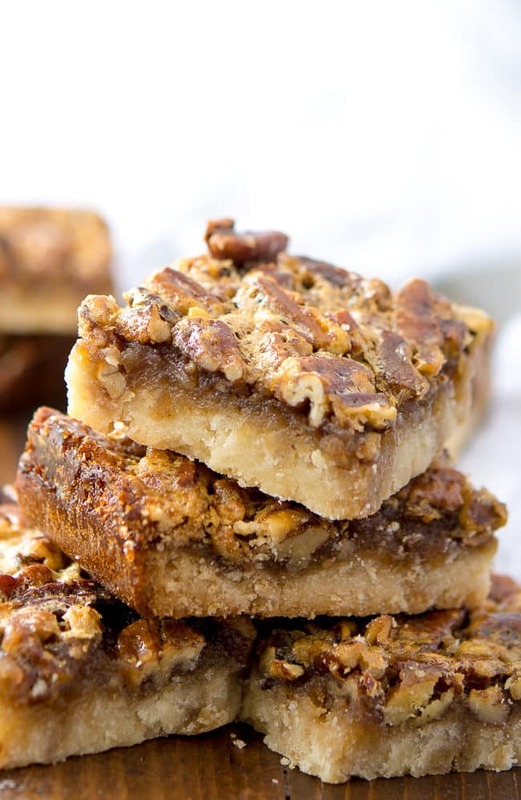 If so, I hope you’ll try these chewy pecan pie bars this fall. Be sure to let me know what you think! Preheat oven to 350 degrees. For the crust, in a medium bowl mix together the flour, powdered sugar and the salt. 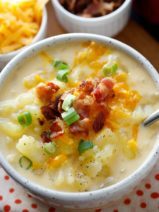 Using a fork or a pastry blender, cut in the ½ cup of cold butter until coarse crumbs are formed. 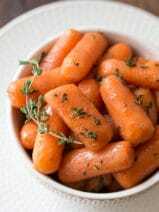 Pat into the bottom of an 11x7x1 ½ – inch baking pan and bake for 15 to 20 minutes until golden brown. While crust is in oven, stir together the eggs, pecans, brown sugar, corn syrup, the 2 tablespoons melted butter, and the vanilla. Spread evenly over the baked crust. Bake for 20 minutes or until filling is set. Cool completely on a wire rack. Cut into bars. Drool. Drool everywhere. I mean, who doesn’t love pecan pie, and wouldn’t love it MORE if they didn’t have to use a fork!? ;) These are awesome!